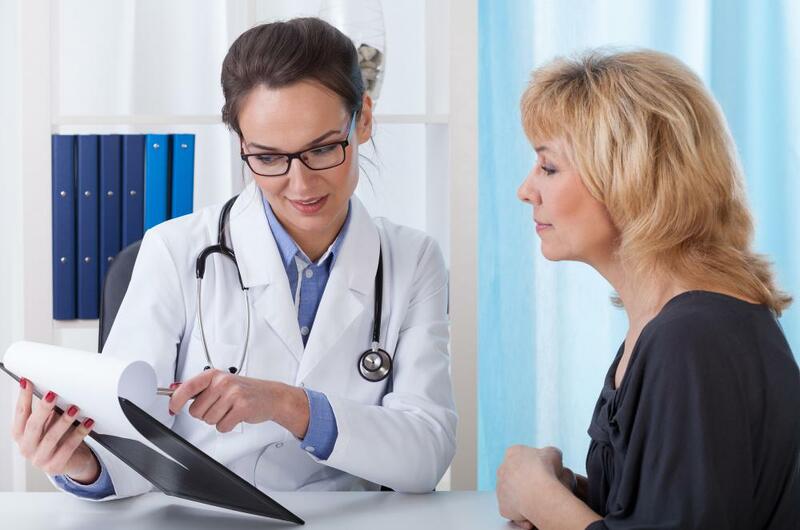 It is important to consult with a doctor prior to taking any drug for an extended period of time. An ingrown toenail can cause an infection if it's not treated soon enough. If you suspect a toe has become infected, it's important to see a doctor right away. 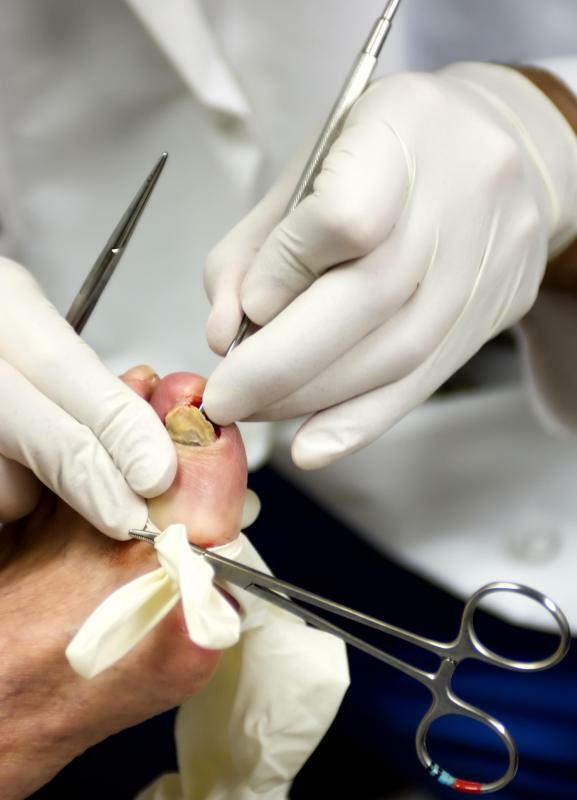 Severely infected toenails may require surgical removal. An ingrown toenail may occur as a result of improper filing. To deal with ingrown toenail pain, first try soaking the toe for about ten minutes before gently pulling the skin away from the nail. As the nail begins to grow outwards, place a small amount of cotton wool between the nail and skin. You may find that over-the-counter drugs help manage the pain until the toe has healed. If you think that the toenail has become infected, or if you suffer from repeated toenail issues, it’s important to visit a doctor because additional treatment may be required. Ingrown toenail pain is a common condition, especially among teenagers, that occurs when a nail begins to grow into the skin. If left untreated, an ingrown toenail can cause infection, which is why early treatment is essential. Proper treatment is especially important for those with diabetes or additional foot problems because the risk of infection is greatly increased. To begin with, treatment for ingrown toenail pain is usually conservative. If the problem is caught early, a doctor is likely to advise you to regularly soak the toe in water for approximately ten minutes. Once the skin has become softer, you can push back the skin away from the nail with cotton wool. If this process is repeated every day for several weeks, it can stop the nail from growing into the skin. As the nail begins to grow, you should then start placing small amounts of cotton wool under the nail. If you think that your toe is infected, it’s important to see a doctor right away. The doctor may prescribe antibiotics and other treatments. Symptoms of an infected toenail include swelling and redness. You may also find pus around the edge of the toenail and pain will often be worse. Over-the-counter painkillers, such as paracetamol, can be useful in controlling ingrown toenail pain. These drugs won’t solve the problem, however, but will make it more manageable. Nonsteroidal anti-inflammatory drugs (NSAIDs) can have a similar effect. Make sure that you consult your doctor first before taking any drug for an extended period of time. If you have constant ingrown toenail pain, surgery may be required to remove some of the nail and reduce pressure on the skin. This kind of operation often involves a local anesthetic to numb the toe and is usually a straightforward procedure. If part of the toenail is removed correctly, it will regrow narrower, which should stop the problem from recurring. What Can Cause an Infected Toenail? What Are the Common Cause of Pus in a Toe? What is the Fastest Way to Heal an Ingrown Toenail? I usually use camphor ointment to relieve pain when I have an ingrown toenail. If there are any other natural ingrown toenail remedies, I would like to know. My sister told me that there is a medical toenail clip that can be applied to prevent ingrown nails. Apparently, it trains the nails to grow out, instead of into the skin. I plan on trying it soon. @turkay1-- Ouch! Why are you pulling it out? The most you can do at home to treat ingrown toenails is cut as much of it as possible without causing bleeding. And you should only do this after soaking your feet in hot water for about twenty minutes. Otherwise, you're going to make it worse and it will get infected. I used to get ingrown nails all the time before. I was talking to my doctor about it one time and she told me to cut my nails straight, instead of in a round-shape. When the nail is cut in a round shape and very close to the skin, it's very likely for the nail to grow into the skin. I followed her recommendation and surprisingly it worked. I cut my nails straight across and I have had an ingrown toenail for a year now. I hate ingrown toenails. Whenever I get one, I either end up pulling it out and making it bleed or cutting my nail so short that it hurts for days. Is there any way to prevent ingrown nails, aside from surgery?